A diverse mix of organisations and individuals have backed Microsoft’s legal challenge to court orders that prevent it from telling customers when law enforcement access email stored on its cloud servers. Amazon, Apple, BP America, Delta Airlines, Fox News, Google, Mozilla, Salesforce, the US Chamber of Commerce, The Washington Post, the Electronics Frontiers Foundation (EFF), the ACLU, and several legal professionals filed briefs in support of Microsoft’s suit. Five former federal law enforcement and justice officials have also filed statements in support for Microsoft, according to Reuters. Microsoft in April sued the US Justice Department over its use of the Electronic Communications Privacy Act of 1986 to stop companies like it from telling people when law enforcement accesses email and other content stored on its servers. 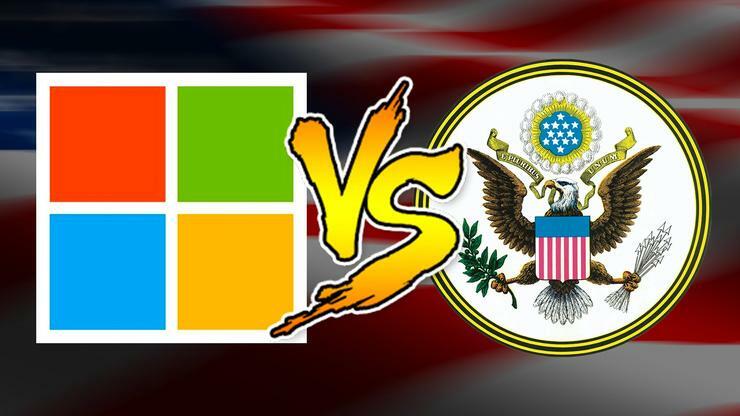 Microsoft contended that under the US constitution, users do have a right to know when the government accesses their property, and Microsoft should be free to inform users when their data had been accessed by law enforcement. Microsoft also said the government was prioritising investigations on organisations that store data in the cloud over investigations involving physical evidence, where a person under investigation would become aware their property was being accessed. The EFF said in a statement that people can’t exercise their rights when they’re in the dark on online investigations. “Whether the government has a warrant to rifle through our mail, safety deposit boxes, or emails stored in the cloud, it must notify people about the searches,” said EFF Senior Staff Attorney Lee Tien. “When electronic searches are done in secret, we lose our right to challenge the legality of law enforcement invasions of privacy. Over half of the government's 5,624 customer data requests Microsoft had received in the past 18 months came with a gag order and nearly two thirds lacked an expiry, Microsoft said at the time it sued. Apple revealed in its recent court battle over law enforcement access to an iPhone that it had received 590 gag orders. “We believe the constitutional rights at stake in this case are of fundamental importance, and people should know when the government accesses their emails unless secrecy is truly needed,” Microsoft’s chief legal counsel Brad Smith said in a statement to the New York Times. The Justice Department in July filed to have Microsoft’s case dismissed, just a week after Microsoft claimed victory in its effort to overturn a warrant for access to a customer’s email stored in its data centre in Ireland.